HOA residents Archives - Page 6 of 6 - Neighbors at War! No Comments on Where Is The Justice? Every time I read of a homeowner who’s lost his or her home to a bank foreclosure, it breaks my heart. HOWEVER, every time I read of a Homeowners Association which has done the same thing to a homeowner, it infuriates me. Homeowners Associations can foreclose on a member of an association in a matter of hours for even the pettiest violation of the covenants. 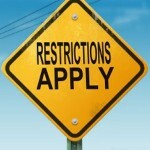 Yes, I agree that all homeowners should be required to pay their HOA dues ON TIME! No exceptions. HOAs need those funds to operate and to maintain the common areas. The problem is that many HOAs and management companies are abusing that power. 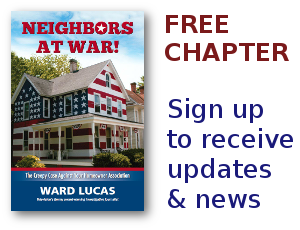 As explored in my upcoming book, “Neighbors At War: The Creepy Case Against Your Homeowners Association,” that “profile” is devious and absolutely designed to weed out blacks, orientals, the handicapped, the single moms, gays, and anyone else who doesn’t match the cookie-cutter, bleached-beige stereotype of HOA life.